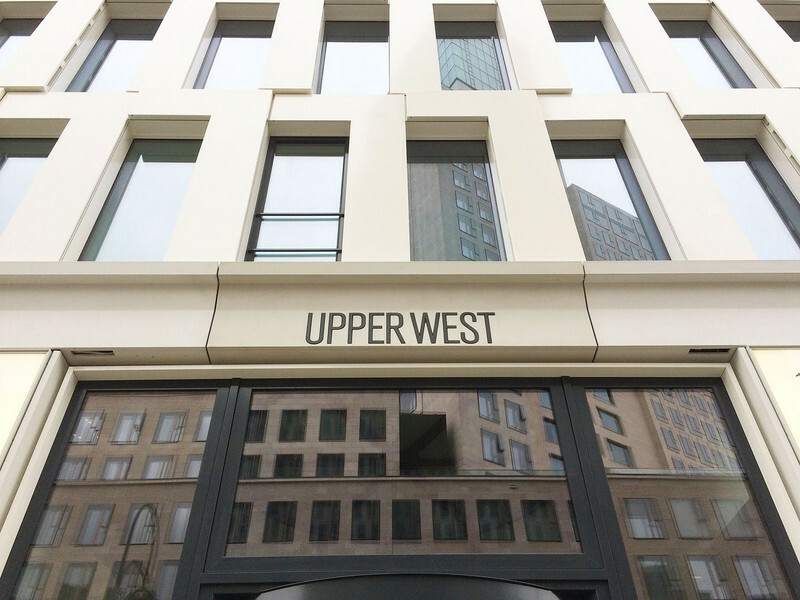 As of May 2017, Berlin's City West has been enriched with a new landmark. 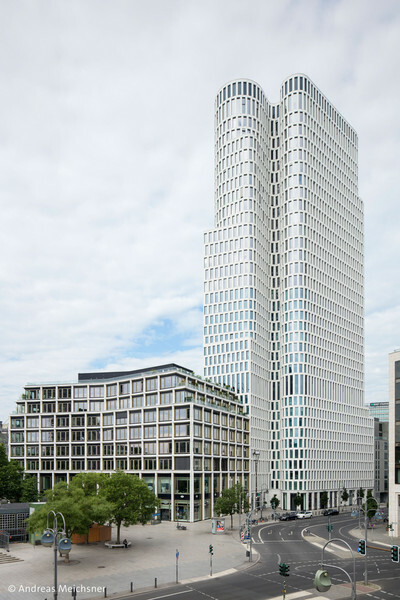 Curvaceous and completely white, the slim monolith on Breitscheidplatz with 33 stories rises a total of 119 meters in height. 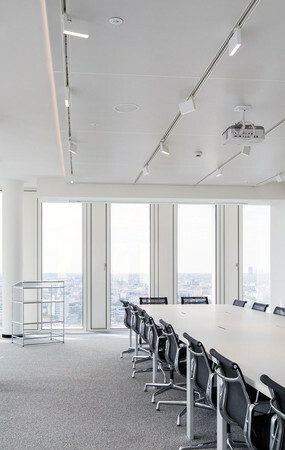 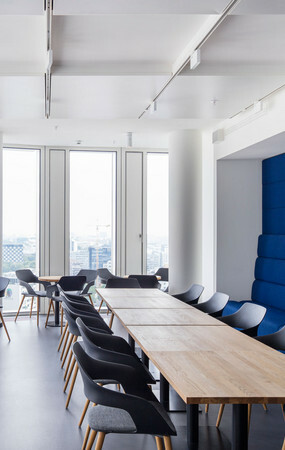 Over 53,000 m², the fourth highest building in the city accommodates individual businesses, offices, and a budget hotel. 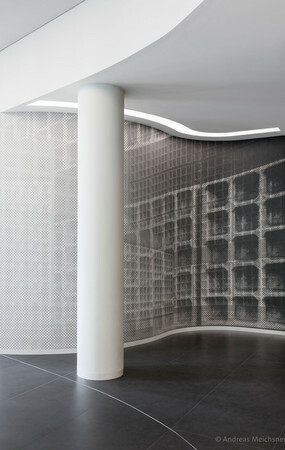 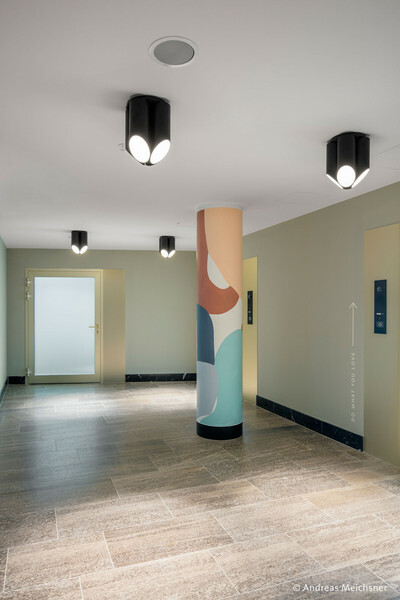 Urban design and facade planning came from the pen of Christoph Langhof. 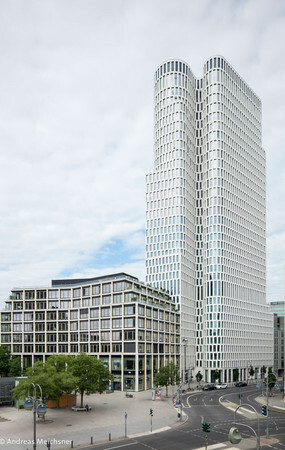 Building planning was done by KSP Jürgen Engel Architects. 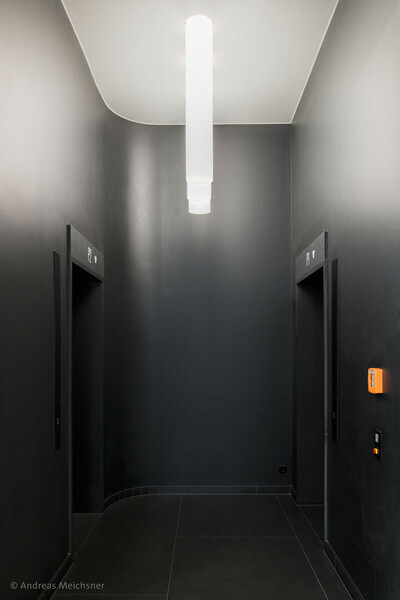 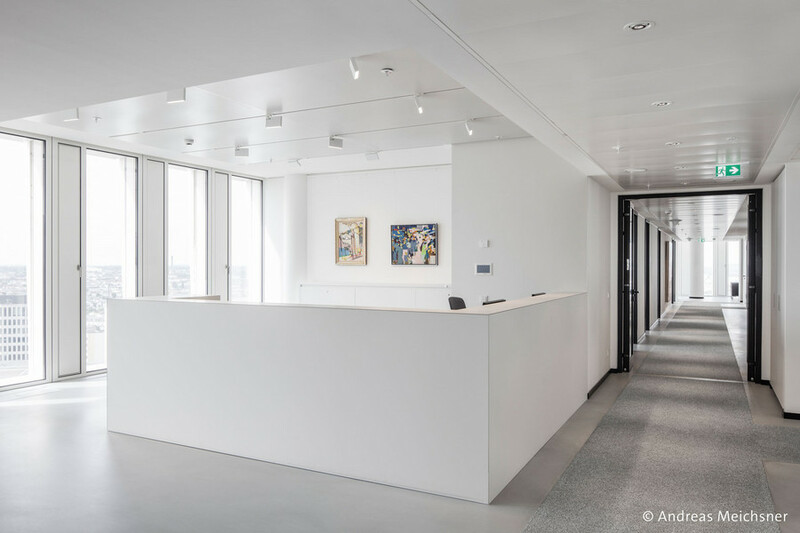 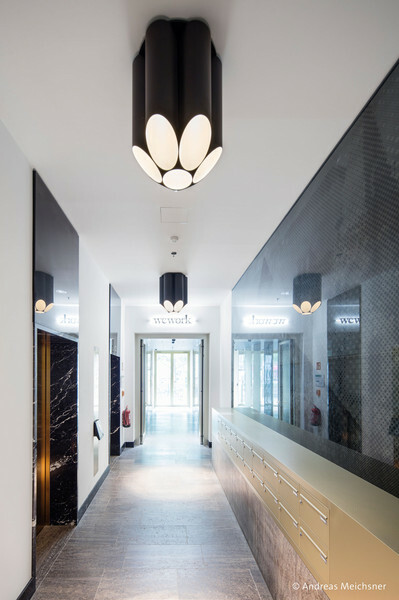 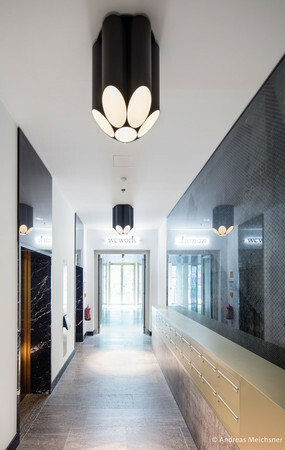 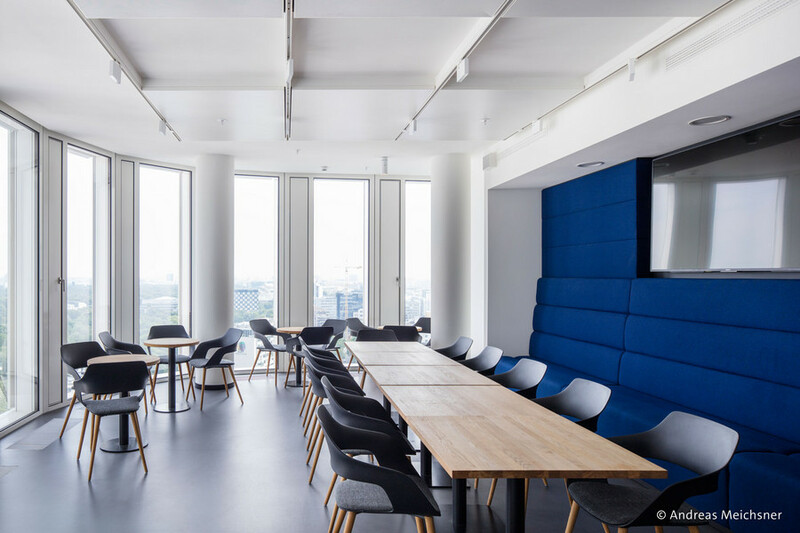 The architect Katrin Cramer bestowed the entrance lobbies and the office premises of the law firm with a restrained yet sophisticated elegance. 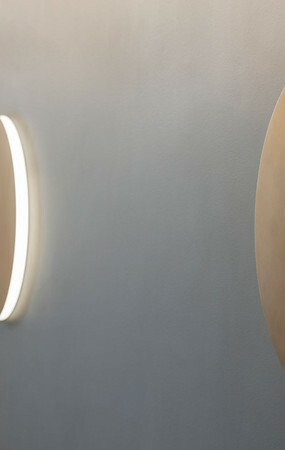 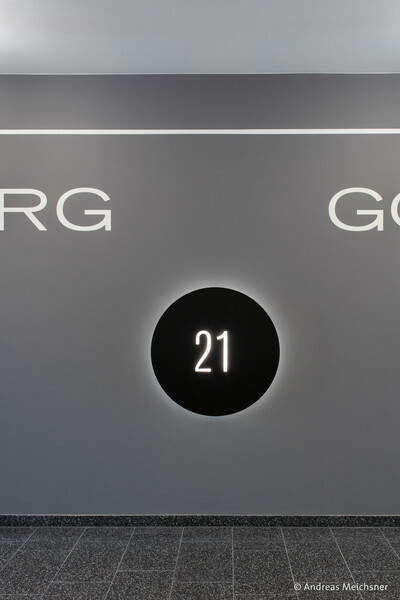 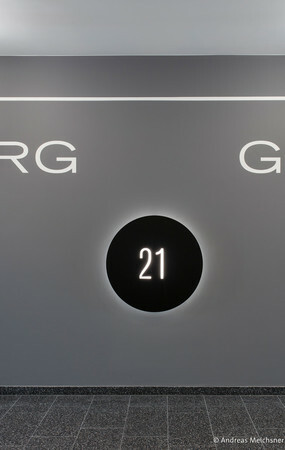 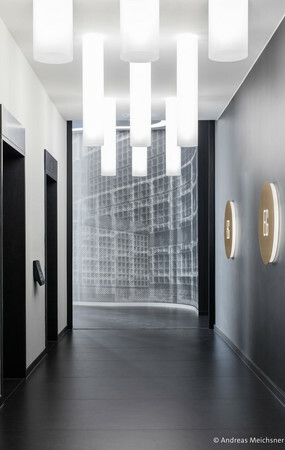 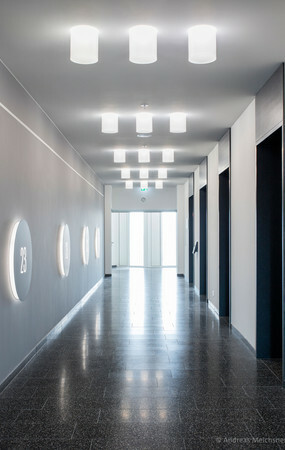 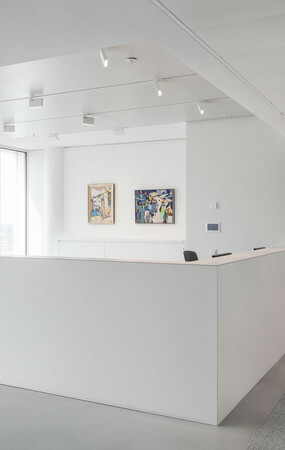 The law firm expansion was rounded out with professional light planning from LichtKunstLicht. 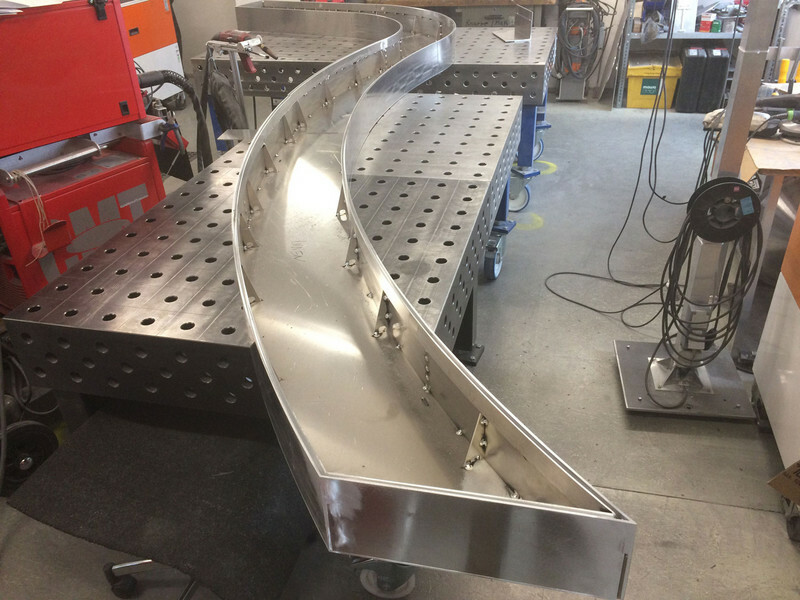 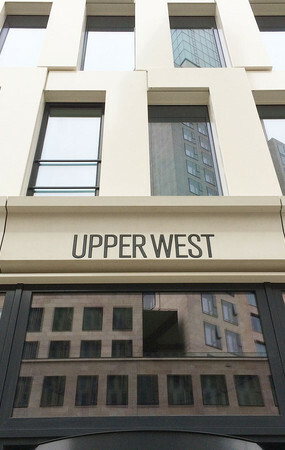 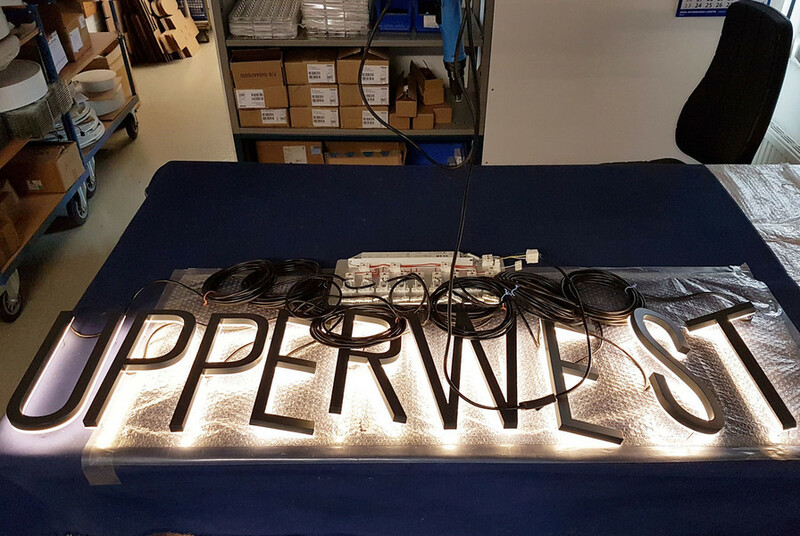 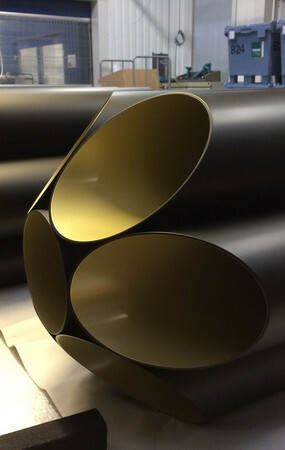 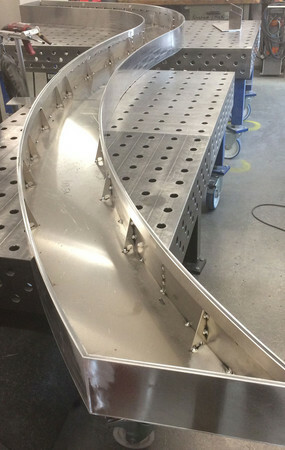 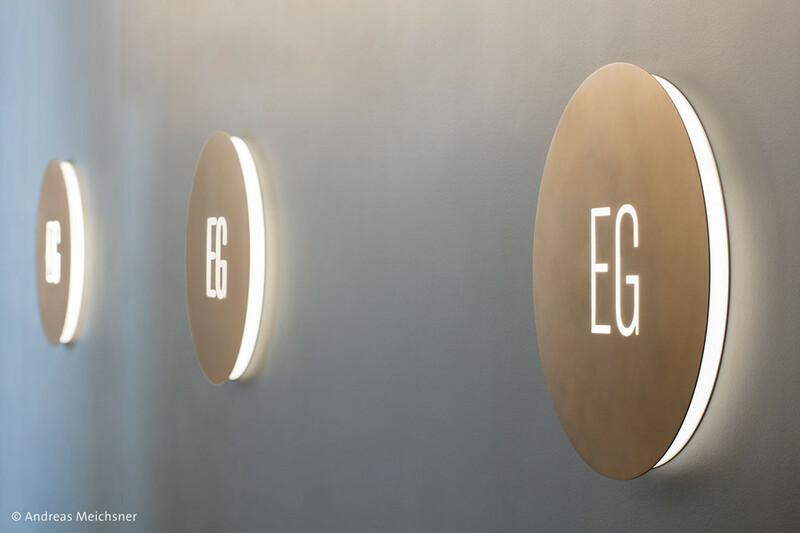 The project-specific, specially constructed custom lights for Upper West came from the pen of well-known, Berlin based lighting designer, Edgar Schlaefle. 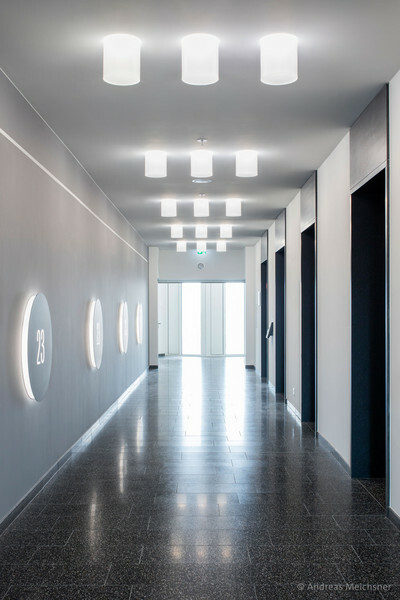 In addition to satin-finished cylindrical rods, manufactured products include diverse general lighting constructed of conical rod segments, backlit floor level indicators, and in the foyer, a diffuse-emitting freeform channel, flush-mounted in the ceiling. 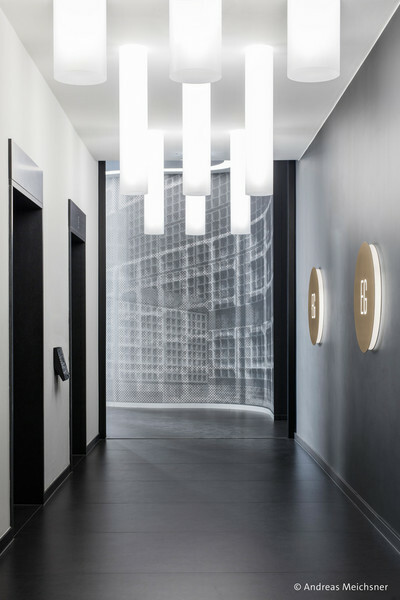 The last one was a premier for mawa, in that the very small, curvy form was covered with stretch film instead of the standard acrylic glass cover typical for these dimensions. 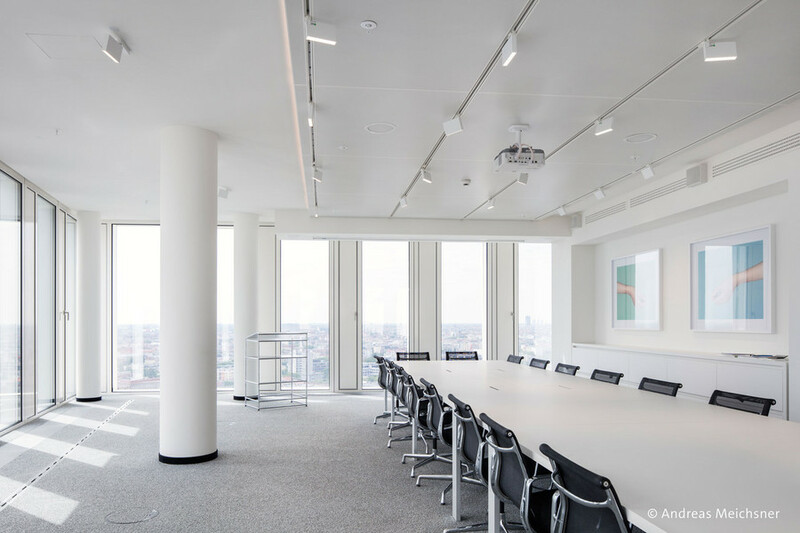 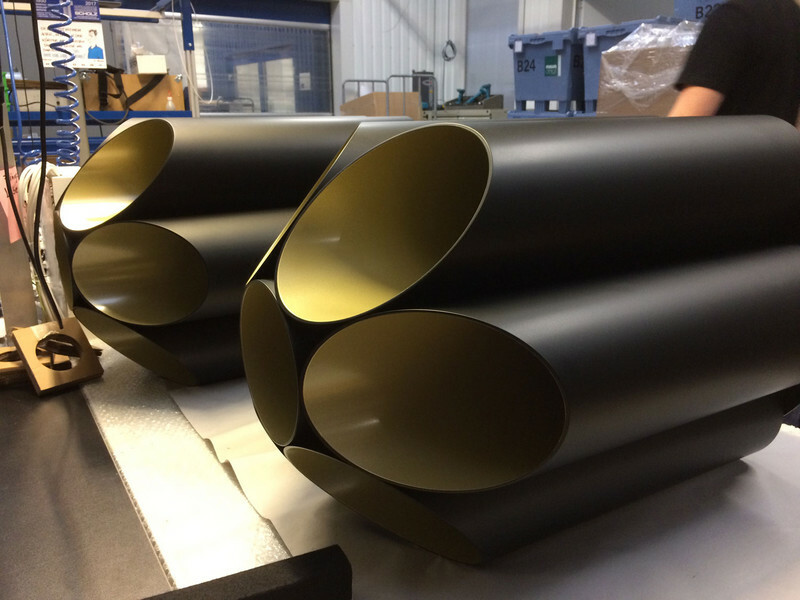 Mawa, with a great deal of experience and carefully thought out solutions, leads projects like these to success, and with uncompromisingly high standards, adds the finishing touch to each product.